On Friday, MSNBC daytime host Nicolle Wallace suggested that White House press secretary Sarah Sanders should be choked after she refused to comment on a report that an aide in the administration made a dismissive remark about Sen. John McCain’s, R-Ariz., health. 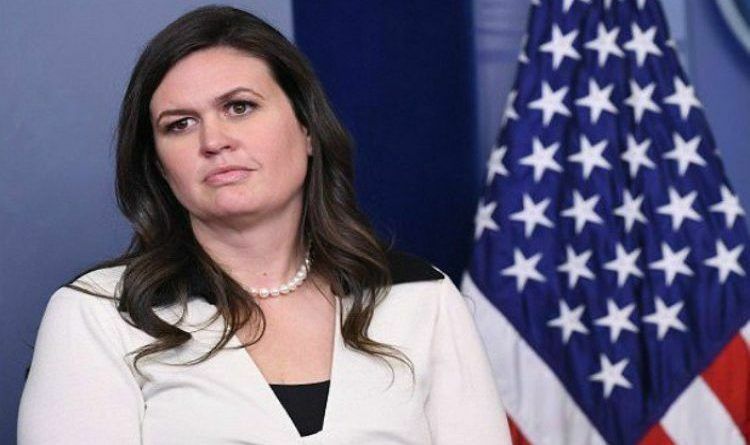 Welker only responded that reporters at the day’s White House press briefing were “surprised” that Sanders didn’t offer more of an answer to questions about the alleged incident. Reports on Thursday said that Kelly Sadler, a White House aide who crafts talking points for surrogates, made a dismissive comment about McCain’s opposition to President Trump’s nominee for CIA director, Gina Haspel. “He’s dying anyway,” Sadler reportedly said at a White House meeting, though Sanders on Friday said she wouldn’t confirm or deny that it happened. That’s how liberals deal with anything they don’t agree with… violence and bullying people into submission. Sounds like a threat to me… This shows the hatred our country has. This never would be said to Obama’s staff. The press continues its meltdown because they can’t control the White House despite efforts to do so colluding with deep state opponents and Democrats. In this situation, the best thing to do is the reporters who make threats to be denied access to White House press conferences permanently. That will send a pretty powerful message that we will not tolerate the nonsenses they ask daily. On the other hand, this liberal is another reason that there will be a Republican supermajority in the fall. Just let them keep speaking their hatred and insanity. Do you agree MSNBC’s White House access should be pulled until Nicolle Wallace is fired? Trump Wants To Send Food Boxes Directly To Food Stamps Recipients And Replace A Portion Of The Food Stamp Benefits!